Courage. It's a big deal. It can even show up when you least expect it too. I recently discovered six new ways to embody more courage. What I really want is to be courageous in my own life and inspire you to do the same in you. I've had courage along my journey and some times more than others. There were definitely times when fear was my go to. I hid and wallowed in self pity. You can bet I learned a heck of a lot about myself as a result. I discovered that I really had nothing to fear but my own self doubt and spent the past 15 years facing my inner demons while embracing my true capacity to be or do all that was possible. A new level of courage came upon me many years ago when I moved across the country on a whim, leaving all my roots and some pains behind. Then there were those times I traveled abroad alone and one ended up with finding my soul mate. Yowza. That first marathon I ran (26.2 miles) in Kona while raising money for charity was a doozy! And yet running the next one took even more courage because as I learned first hand how grueling it really was. There were the jobs that pushed me in front of international audiences and execs who were quite intimidating – and yet I held my own. I said yes to be in a documentary. Bought my own home. Practiced saying NO when it was scary and not the norm to do so. I also got better at saying YES to me and what I really wanted – now that is when you can really feel you're inner power. As I sit here this morning and feeling a bit distraught, seeking within for another level of courage. I've heard many people talk about this and yet I never quite understood the depth of inner courage it takes until now. I realize my now is also just a beginning. The beginning of the courage it takes to deal with aging parents, death and managing their affairs for the rest of our lives. Yes, mama is needing me now as her later life partner, my step father, just passed away unexpectedly at the young age of 62. She's in extreme depression and having many other challenges with health. To top it off her brother died a few days later. Oh, my heart has broken wide open with empathy and concern. With God's grace and guidance I will have support when I seek and listen. Which is at the backbone of the next level of courage I seek. I ask for courage to be the calm and rational center as the other family members work thru challenges, as well as, processing within how best to deal with these current events. I ask for courage to lead as I am needed to and make the right for mama and others. I ask for courage to continue to say YES to me and to my husband by joyfully fulfilling our previously planned European trip – and not let this damper the plans we had for several months – which included seeing his brother after 7 years. I ask for courage to stay embodied with grace under pressure. I ask for courage to maintain and embody self respect and the utmost respect for others. I ask for courage to have endurance and acceptance during this difficult and often unendurable feeling time. My purpose is to support, encourage, and provide life affirming methods to help women reach their highest potentials, believe in themselves, acquire the life and /or business they desire, so t hey can make a positive impact in the world – yes and I am all over that with what I do here at Empower The Dream. My recent epiphany is the realization of this mission to help other women has prepared me to empower my own mother. To help her to regain her life and be that vibrant woman she used to be – perhaps more than ever before. Words elude me as I try to articulate this feeling but it is bubbling up inside of me and forming a new vision, one I have not seen so vividly before now. Although I don't know the exact path this is taking, I will practice what I preach by trusting my divine guidance . I will take the actionable steps one-by-one in spite of the unknown – fearless and courageously. Simultaneously to all of the above, I have been putting together (with my co-host-host) a Goddess Retreat Virtual Sanctuary. What a blessing it has been to bring together 7 other women (and one very special man) to be part of our Goddess Power Posse and allow them to share their gifts of making a woman life and wellbeing a priority. Mission: To inspire you to go out in the world and make a difference in the lives you touch – because when you feel empowered you naturally inspire others; you give love freely and you receive the love you've always deserved. Isn't that what it's really all about? 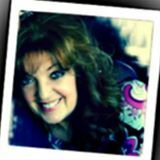 Professional Bio: Teresa Salhi is a Feminine Mastery Success Coach, Law of Attraction trainer, featured in the award winning documentary, Kumare', The False Prophet, a Thrive Global contributor and published author in 365 Moments of Grace. Teresa left a 15 year successful career with teams and clients worldwide to pursue her passion of helping women close the gap from where they are to where they really want to be. She is the founder of Empower The Dream; providing thousands of women much needed resources, inspiration and useful strategies to prioritize their heartfelt dreams in their personal lives or purposeful careers.